Kodo Nishimura is primarily a make-up artist, beautifying clients ranging from popstars to pageant contestants. As make-up artist Kodo Nishimura sashays into a room in Tokyo balanced on pin-thin heels, he could hardly look less like a practising Buddhist monk. Immaculately made-up, sporting smoky eyeshadow, false lashes and winged eyeliner, he changes outfits three times during a presentation to starry-eyed fans. But at the Tokyo temple where his father is head monk and he assists in rituals, he appears transformed. His face is bare, and he wears the plain robes of a Buddhist cleric. It might seem like an unusual double act, but that doesn't bother 29-year-old Nishimura. "This is who I am," he said. "I am not going to try to be something else." Nishimura is primarily a make-up artist, beautifying clients ranging from popstars to pageant contestants. He spends most of the year in the United States, where he first openly indulged a passion for make-up that he kept secret as a child in Japan, hiding in the bathroom to experiment. "I would open my mum's Chanel eyeshadow palette and I would try to put it on my face. But I looked crazy, I looked like a clown," he laughs. Studying in the US, he found things were different. He discovered drag queens working at make-up stores who were happy to answer his questions. At 18, he made his first purchase: mascara and eyeliner. An internship with a make-up artist led to a job. Back home, his parents surprised him by being supportive of his career choice. But he felt that something was missing. He had grown up in a Buddhist temple, playing behind its elaborate golden altar and knew one day he would have to decide whether to follow in his father's footsteps. "I wanted to know the occupation, what we do, enough to make the decision." So at 24, he enrolled in a training programme in his Buddhist Pure Land sect. It involved five sessions, each several weeks long, spread over a period of around two years. Homesick for Japan, he was excited at first, but his enthusiasm quickly faded. "The moment the doors shut, the trainers started screaming," he said. "I was like 'oh my God, what did I sign up for'?" But he persevered, returning to the United States between courses, only to have a crisis of confidence near the end. In New York, he wore make-up and jewellery, worked as a make-up artist and was open about his attraction to men. Would all that "offend the community of Buddhist monks?" he wondered. "Is it going to degrade the value of other monks?" 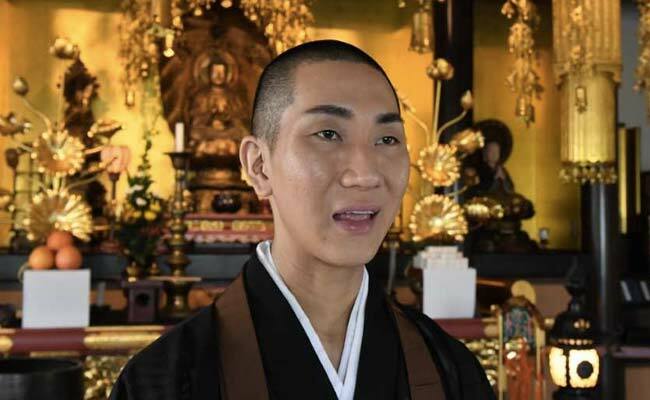 But a senior monk brushed aside his concerns, pointing out that Japanese monks often wear non-religious clothing outside the temple and have second jobs. And he was uninterested in his sexuality. "That was like a liberation for me," Nishimura said. "That's when I felt: 'now I can be myself and be a monk as well.'" He acknowledges that his work as a make-up artist, with its focus on outward appearance, might seem at odds with a religion that prioritises the inner self. "I think in Buddhism the core message is to feel happiness, feel balanced within our hearts and to share the happiness," he said. Feeling beautiful, he believes, makes people "more generous, more attentive to helping others." Nishimura returns to Japan twice a year, helping his father at religious events like funerals. For now he can balance his two lives, but eventually he will have to decide whether to inherit his father's temple -- a prospect he admits doesn't appeal at the moment. "I don't think that being in this temple is the best way necessarily to help more people." "Make-up and heels (are)... like a bridge for me to spread my thoughts to others." 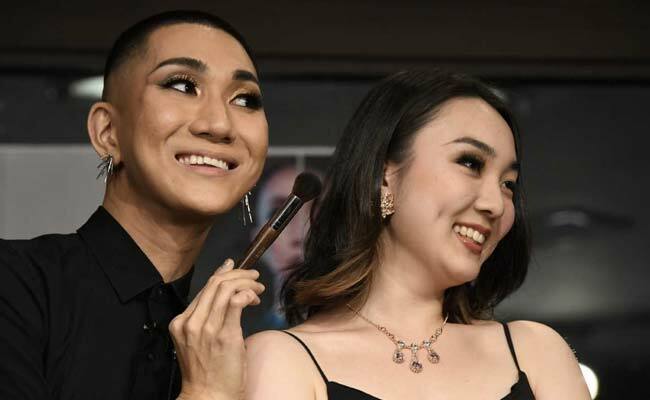 He has also become an advocate for LGBT rights, and has a sideline teaching transgender women make-up tricks to amplify their feminine features. 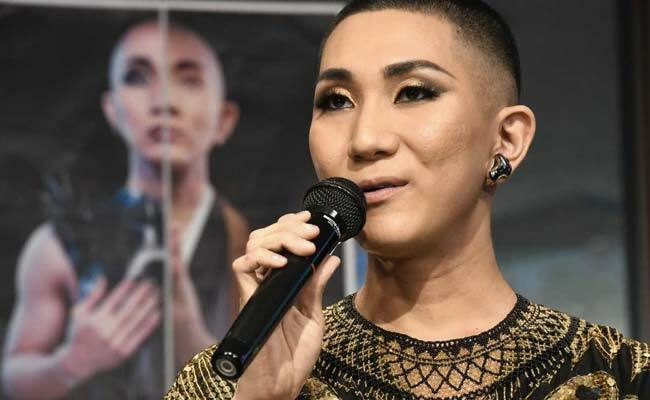 "He helps you look your best with the facial features you already have... (and) encourages transgender people to accept the way we are," said Mio Aoki, a 27-year-old transgender woman who lined up early for a front-row seat at Nishimura's make-up demonstration. "There are many make-up artists who teach people make-up, but I think there's no one like Kodo."